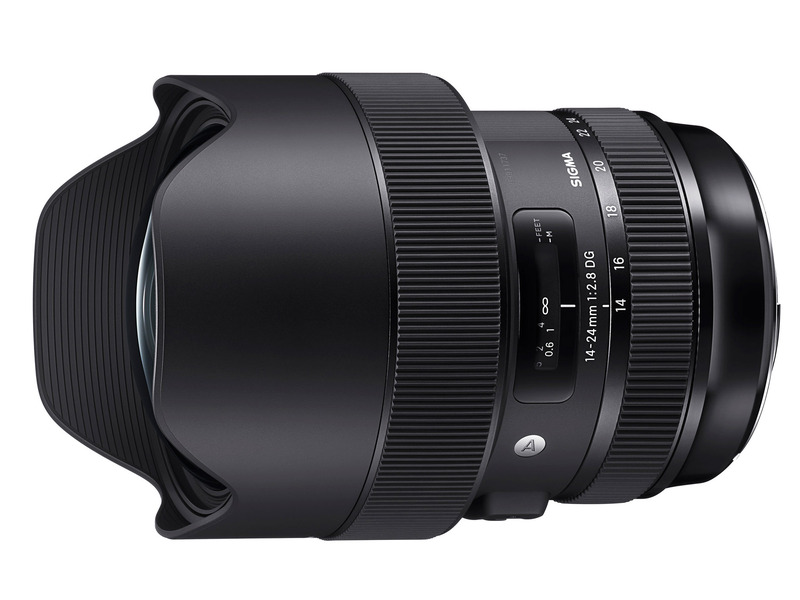 Early today, Sigma officially announced a new 14-24mm f/2.8 lens, the most recent in a string of wide-angle Art lenses from the company. 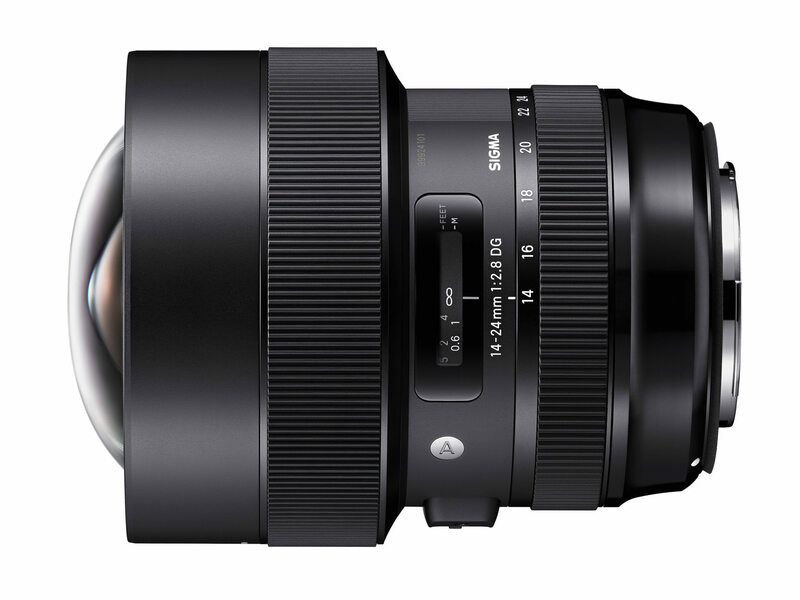 While there has been no price released at this point, it is reasonable to hope that this lens will offer the high-quality performance that Sigma’s Art lineup is known for, yet still retain a lower price than something like the Nikon 14-24mm f/2.8. Keep reading for more details about the new lens, including some of our initial thoughts and expectations. The first thing that will stand out to many photographers is that this is not a small lens — much like Sigma’s other recent wide-angle options. It’s the same size as the Nikon 14-24mm f/2.8, and it weighs 1/3 pound more. There was a time when the Nikon 14-24mm was considered extremely large and heavy for a wide-angle lens, although today it has been surpassed by several others (such as the Tamron 15-30mm f/2.8 and the Sigma 12-24mm f/4). Are these actually common issues when shooting VR content? A cursory Google search didn’t turn up anything, so I’m not sure what is going on. For photography — the non-virtual-reality kind — there aren’t many reasons I can imagine for wanting to replace the hood. Perhaps if you often shoot with your camera’s built-in flash (or a low profile on-camera flash), removing the hood will minimize shadows at the bottom of the frame, although that’s quite a rare scenario for people who buy this type of lens. Or, maybe, the smaller lens hood will make it easier to attach a filter kit. A fascinating possibility is that Sigma (which does sell filters already) is planning to release a smaller filter holder system that would work with the hood removed, while being far smaller than something like the FotodioX or Lee systems that are necessary for other ultra-wide lenses. That’s pure speculation, but if this lens does eventually allow for almost-normal size filters because of the hood removal option, count me a fan. Even if that doesn’t happen — and it probably won’t — it isn’t harmful that Sigma is offering the hood removal service. It’s just unexpected. Sigma clearly found a wide-angle design that they like, and as you can see from our recent 14mm f/1.8 review, the image quality has been very impressive so far. If the new 14-24mm f/2.8 approaches the performance of the 14mm f/1.8 — no small feat, considering it is a zoom lens — it will rank as one of the highest-quality wide angle zooms available today. We’re already gearing up to test this lens when it arrives on market, so stay tuned. The MTF chart for the Sigma 14-24mm f/2.8 — quite good for a zoom lens of this focal length. Sample photo by Nakamura Naval. I’d add though, 14-24mm rectilinear is not really the lens you’d use for 360° or VR with multiple cameras because 14mm requires two rows of 6 images to capture the full sphere. You can use it for cylindrical with one row of course, with a hole at the top and bottom in portrait orientation, but not spherical without two rows. So usually fisheye lenses are used instead for VR. I prefer my Nikon 14-24mm f/2.8 for 360° still panos because of the extra resolution, but that’s with a single camera and panning head, not real time VR capture or video with a multi-cam rig. 3D or stereo on the other hand is quite practical for this focal length range, and that would make more sense with the removable lens hood. Thanks for the info, Aaron! It’s clearly a very specialty option, but for photographers who need it, I’m sure this ability would be quite valuable. I am into astrophotography. This lens sounds a very good option so did the art 14mm until the price was announced and I saw the results after borrowing one. In the end I bought the Samyang 14mm f 2.4. That complements my Samyang 1.4 24mm lens. I still have yet to master the 14mm lens. This is a landscape lens (considering the focal lengths), so the camera would be on a tripod—no need for IS. That’s what I was thinking too. I don’t think landscape photographers (counting myself) would even miss it, because you’d never carry this thing around trying to get shots handheld. For the most part, I’m with you, although some of this lens’s competitors do have image stabilization (like the Tamron 15-30mm f/2.8). Even with ultra-wide lenses like this, used on a tripod, image stabilization can still be valuable if you’re shooting under extreme conditions — high gusts of wind, or taking photos with your tripod in moving water. 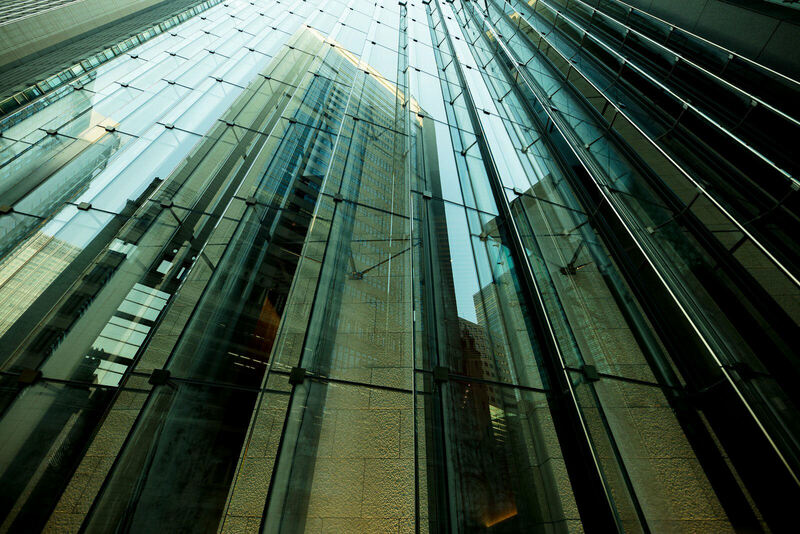 In cases like that, image stabilization can help minimize the effects of tripod vibration, which can still be strong enough to cause a lack of sharpness even at focal lengths like 14mm. But without a doubt, image stabilization is more valuable at longer focal lengths, and it’s not a major negative that this lens doesn’t have it. Can’t believe how blinkered some folk are. “If I don’t need IS/VR nor do you” or ” All I’d use this for is landscapes, therefore all this lens is for is…….landscapes”!! Really?? This lens has far more applications than just smudging the scenery. Ever thought about shooting, for example, the interiors of ecclesiastical bulidings? Dim lighting……..tripods usually forbidden……..a low distortion 14-24 with VR would be very handy. The lens doesn’t have IS, therefore it will be used with a tripod, therefore it doesn’t need IS!! I fully agree with Old Nick and Pete A. I mainly use ultra-wide lenses for indoors photography, where tripods are not allowed, and I do need image stabilisation. For me, image stabilisation is more useful with wide angle lenses than telephoto lenses: pieces of furniture don’t move, birds in flight do. You cannot get a sharp picture of a bird in flight at 1/60 second. in fact i would love a high end serie of fixed focal 2.8 lenses, that also takes attention of flarecontrol ( good coatings) and draws a nice bokeh. Yes, that would be great. It seems like manufacturers are trending farther away from lightweight lenses and toward maximum performance (and widest aperture), which is both good and bad. Hi Peter. Get the Nikon 14mm f/2.8 AF-D ED if you cant get it second hand somewhere for about $800. New, it is around $1800. It weights “only” 667g. You can use gel filters with it. Most of the super wide angle lenses will not accept any filters. Personally I use the Nikon 14-24mm f/2.8 which I like very much but it is fragile. My brother uses the Tamron 15-30mm f/2.8 which is even sharper but it is a very heavy and big lens. I wonder how the owners of Sigma’s 12-24/4 Art feel these days? It’s good to have choices, no question – but its’ also good if you decide for a heavy lens like the 12-24/4 and now realized, thee’s an option with 1 f-stop more, 2mm shorter and “slightly” better MTF. All the people who want to buy an ultra wide zoom now have great choices – the ones that already bought a 12-24 or the 14/1.8 Art might feel a bit fooled? Yes indeed! Maybe that’s why Sigma waited to announce the 14-24mm f/2.8 last of the three. Once you have it, the case for owning one of the others is much weaker. I have a number of Sigma lenses for my Nikon D610 and it includes the 12-24mmDGII (F4.5-5.6). I am not impressed. It has no vibration control and it has a horrible distortions at both sides of the picture (the left side is worse than the right one). I am not that impressed with 150-600mm sport either. It ain’t that sharp. I got almost similar result with the old Sigma F4 400 (paid 300Euros). I also returned the Sigma 90mm Macro after one week. For my Sony A58, I read great reviews on the Tamron 16-300 yet I got awfully flat pictures with. I returned it too. I made much better pics with a used Minolta f4 70-210 (paid 69euros) and Minolta 75-300 (paid 79 Euros). I used to make my buying decisions on reviews and readers comments. No offense, I am very careful now with reviews. I try a lense and judge if it good or not. PS. I took the same pictures in Jordan but the are not as good as yours (were shot with a small Casio, Nikon P510 and Sony A58). Alaaddin, you listed a couple of old and outdated Sigma lenses, except the 150-600 Sports – which I will not defenders it’s a good lens in the right light, yet too heavy to handhold for me. Image stabilisation in a wide angle to me is rather useless. As the D610 is no high MP body, you should get away with 1/15 and good aiming practice. I tried the 12-24 on a Sigma event and I was very impressed, distortion correction, sharpness and flare control are up to Sigma’s Global Vision standards. I actually don’t understand people complaining about Sigma lenses and then I find out they’re speaking about old and elder models the time when Sigma was cheap and often junk – none of them survived in their new line. Comparing a zoom (no matter which one) to a prime which once was a bit more than those 300 € is not exactly fair, but your “try a lens and judge..:” is the best to do, I think. please delete my message no. 7. For some reasons your reply and my message did not appear on my screen. My sincere apologies. Alaaddin, sometimes the messages don’t appear right away due to caching, but we never filter or delete any comments from our readers, unless they are spam. Thanx dear Nasim. My comments in my first response on the pics in Jordan was addressed to you. I paid 750Euros for 12-24 two and half-years ago and it was the latest model (mark II). Its major problem is its divergent lines on left and right sides (with left more than on the right side). even when the camera is mounted on a tripot. I managed to repair (sort of) this problem with PS’ Lense correction filter but the original pic was awful. I have the dock station. Sadly Sigma allows only the editing of the art, sport and contemporary lenses. May be you shoukd whisper a word or two with Sigma. And yes prime lenses should not be compared to zoom but 25 years of technological advances should give the edge to the 150-600 Sport zoom. I am very much satisfied with the Sigma DP2M camera (faveon Senos) and wish Sigma makes its raw files editable in ACR. Nothing personal with Sigma. I just hope that reviewers don’t get over-enthosiatic in their products’ reviews. As a matter of principal, I don’t buy used lenses or cameras. Six weeks ago, I tried the Minolta F.17 and was impressed. I then bought Minolta 70-210 F4 and the 75-300. In each of these old lenses I get sharper pictures on Sony A58 ( a lousy camera by all means but handy to have on holiday) than lenses from Sigma and Tamron on D610. Even the Nikon kit lense gets sharper images. For the time being I will stick to the four or five Nikon lenses that I have. By the way, I am not a professional, just a hobbyist (and may be a crazy one). I need an ultra-wide lense because I take pics of historic building and most of them are situated in narrow streets or alley in Europes. Thanx for the exchange. My apologies dear Joachim. The last reply was addressed to you. Dear Alaaddin, I had no idea that the elder Sigma 12-24 was still available only a couple years ago, my apologies. If you give me an address of Sigma Japan where to address my two or three words, I’d be happy to do so. As a matter of principle, I only buy Sigma’s Global Vision glass. 1st, there’s a dock to cure each hickup, 2nd the quality leaves nothing to wish (well, maybe someone to carry these bricks…). The 14/1.8 is very good in terms of correction of distortion and the rest of it as well. There’s an excellent review of Nassim with fantatstic pictures available. But it would cost you double the price of your lens. If the lens shows this kind of massive distorsions, send some pictires to your Sigma service, I think that should be repaired. I had luck with a 10-20/3.5 around 8 years ago, but still, the Global Vision versions are advanced to them by a hige margin. I also have the Sigma Merrill cameras with Foveon sensors. And I highly recommend Iridient as a much faster RAW-converter, which can deal with a lot of RAW-types and is recently available on Mac and Windows (exception: It doesn’t convert the Sigma Quadro files, but the quadro cameras save also DNG). Try it, if you like. I tink there once was a ACR version with Foveon support, but Adobe is in my eyes no good – or Sigma was no good to deliver them the right recipes. Thanx dear Joachim. I actually bought my 12-24 from a shop where Sigma was showing its products and this lense was one of them. Thanx for the advice on Irdient. I used Raw-Therapee which crashed often. I reaaly love the DP2M pics. I shoot with /1000 or 1/500 second and no tripot and the pics are sharp. Yeah. the Merrills are very underestimated. The dp3 merrill is one of a kind because of it’s “macro” abilities. It’s only 1:3, so no real 1:1 macro. An amazing pic. I will buy the dp3 when I find one. Thanx. About a year ago, my wife gave me an add of the DP2M. I have heard of its high price. After lunch I drove the 25KM to the shop, looked at it and couldn’t take it seriously. I thought that small piece of “…” couldn’t take great pictures. I went home, slept a night over it. The next morning I went back and bought it. No regrets. As the Iraqi saying goes, don’t look down on a small stone, it can split your head. That’s an excellent saying, Alaaddin. I got mine when their prices were around 400€/piece. Like you, I also didn’t want to throw more than thousand € on a compact camera (with lots of restrictions, like low ISO, low resolving display and slow AF.